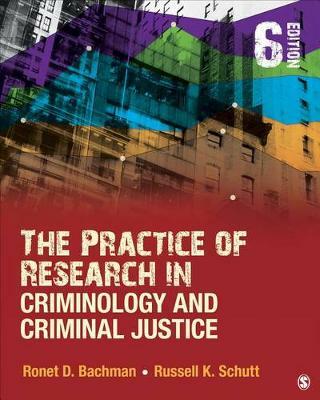 The Practice of Research in Criminology and Criminal Justice, sixth edition continues to provide complete coverage of the use and results of the contemporary methods employed in criminology and criminal justice research today. Specifically designed for undergraduate and beginning graduate criminal justice courses and programs, authors Ronet D. Bachman and Russell K. Schutt teach research design and techniques within the context of substantive criminology and criminal justice issues of interest to students who will become professionals in the field. Students learn about the wide realm of research methods available to them, delve deeper into topics relevant to their field of study, and benefit from the wide variety of exercises included that help them practice as they learn.